Don't miss this rare opportunity to own or rent one of the grandest homes in Panama City Beach. This incredible property offers top of the line finishes and provides exceptional amenities throughout this custom built home. The property is ideally positioned within The Preserve - One of Panama City Beach's most prestigious neighborhoods. This home has it all - 6 bedrooms, 4 car garage, and a spectacular outdoor living area that will make you feel like you're in a 5-star resort. Remote controlled salt water pool & spa, tennis court, library, billiards room, music room, media room, guest quarters, exercise room and comfortably elegant living areas offer true estate living. 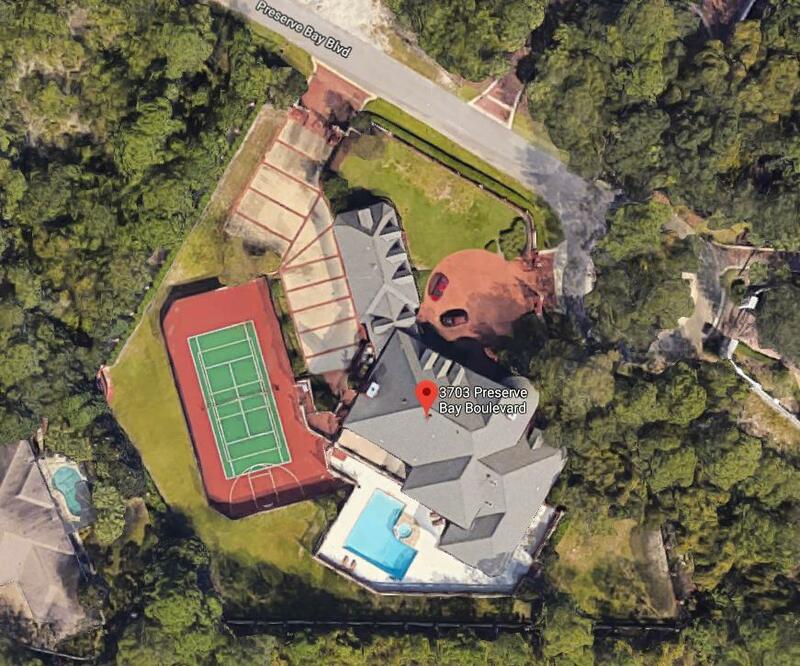 Completely update this home with up to $1.5 Million of insurance benefits assigned to Buyer upon closing.The property has sustained minor damage in Hurricane Michael but is generally in move-in ready condition. Italian marble floors, 12 ft ceilings, Viking appliances. No expense was spared with imported custom woodwork, top-of-the-line stone countertops, and wrought iron staircase. Master bedroom has its own dedicated wing on the ground floor of the residence with a workout room and office. The 3rd story is a media/music room, with unlimited conversion possibilities. A perfect guest apartment is has a private entrance. State of the art security system with infrared cameras cover all areas of the home and property. The new Jack Nicklaus golf course is located just 5 minutes away at Bay Point, as well as a 180 slip marina with boat rentals, charter, fishing, and The Serenity Spa. Owners need to leave. For sale or lease. Perfect vacation home or AirBNB opportunity.